Nearly 2000 years ago these figures decorated an important ritual cloth. 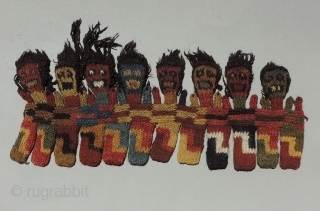 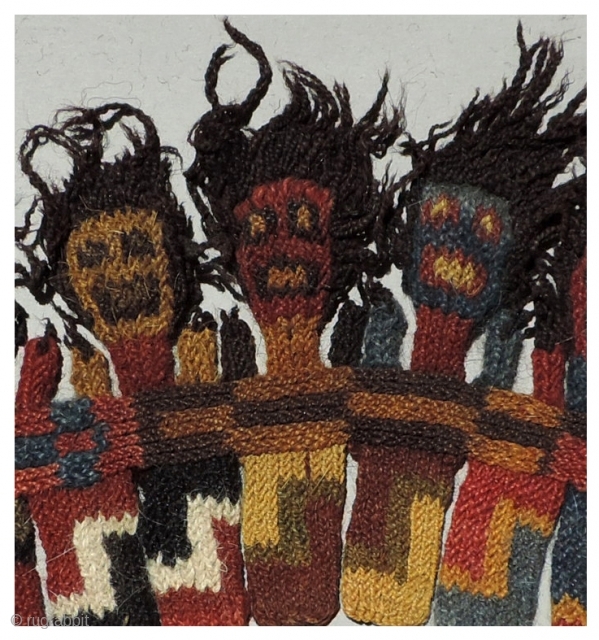 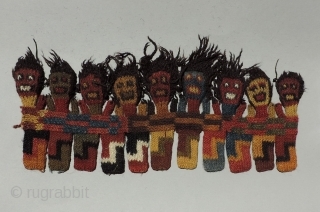 Early Nasca knitted figures like these were part of a long border strip that was sewn to a rectangular, plain weave textile as the only decorative element of the composition. 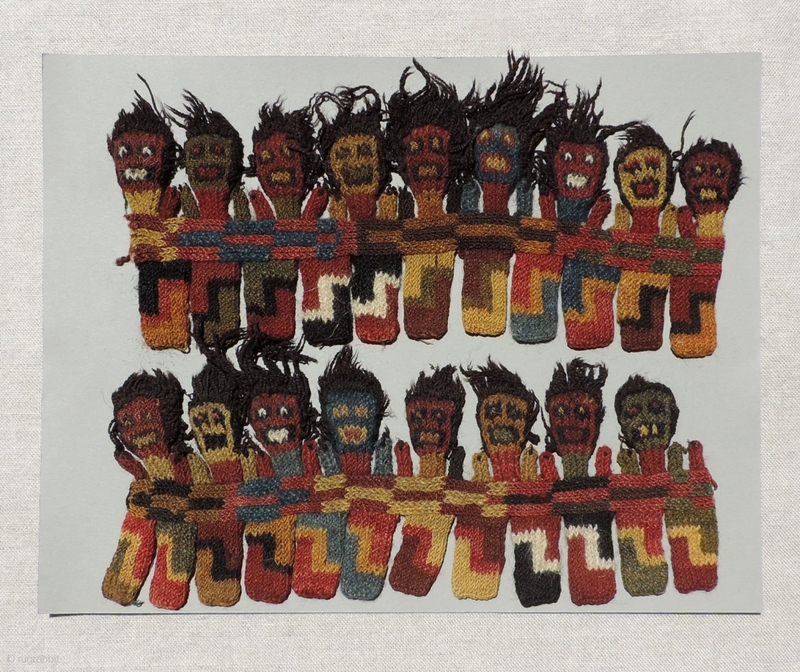 These fragments, approximately 4 x 9 inches each would look great mounted and framed. 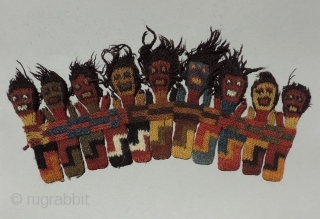 They are available for sale individually or together. 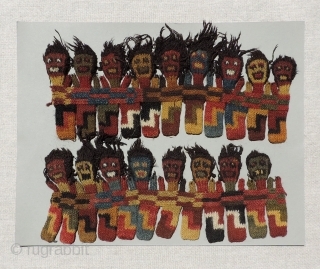 Reasonably priced, they are real crowd pleasers - a lot of bang for the buck!